Hello again lovely brides (and grooms!) How is all the wedding planning going for you? As wedding season approaches, I hope no-one is tearing their hair out!? As I write this, there are just 106 days until the first wedding that I am producing this season and 133 days to my own wedding…but basically I can’t wait! As we all get closer to our big days, the bigger pieces of the puzzle like venue and caterer tend to be taken care of and now we start getting into the smaller details and styling. Don’t you find that sometimes it can be totally overwhelming as there are so many incredible ideas out there, so much on instagram, so much on pinterest, so much on Rock My Wedding! Whilst we would be lost without all these sources of inspiration, it can sometimes be hard to pick one idea and stick to it! As soon as you settle on something, you see some other beautiful thing pop up on your feed that sends all your plans up in the air. Don’t worry, you are not alone! Being a wedding planner & stylist (French Bague-ette) but also a 2018 bride I really do spend a lot of time thinking about weddings! Pinterest boards and instagram bookmarks help us all to gather together ideas but these will need editing down and I find it best to get strict! As I scroll through heaps of wedding imagery everyday I try to identify upcoming wedding trends but I also really keep in mind the personalities and tastes of the brides that I am working with. 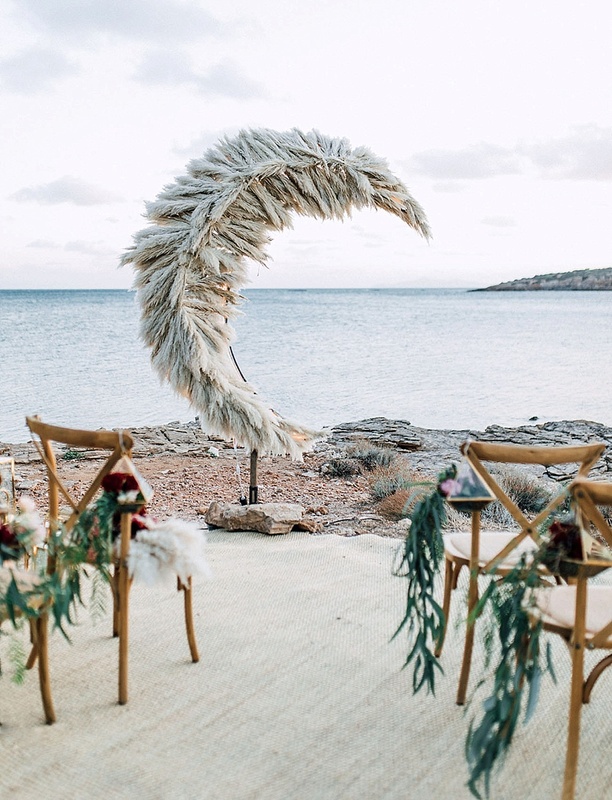 It is really important that your wedding reflects your personality and surrounds you with things that YOU find beautiful, not just because you saw it trending on instagram! Pantone may have selected ultra violet as the colour of the year 2018 but for God’s sake don’t choose that for your wedding if you hate purple! 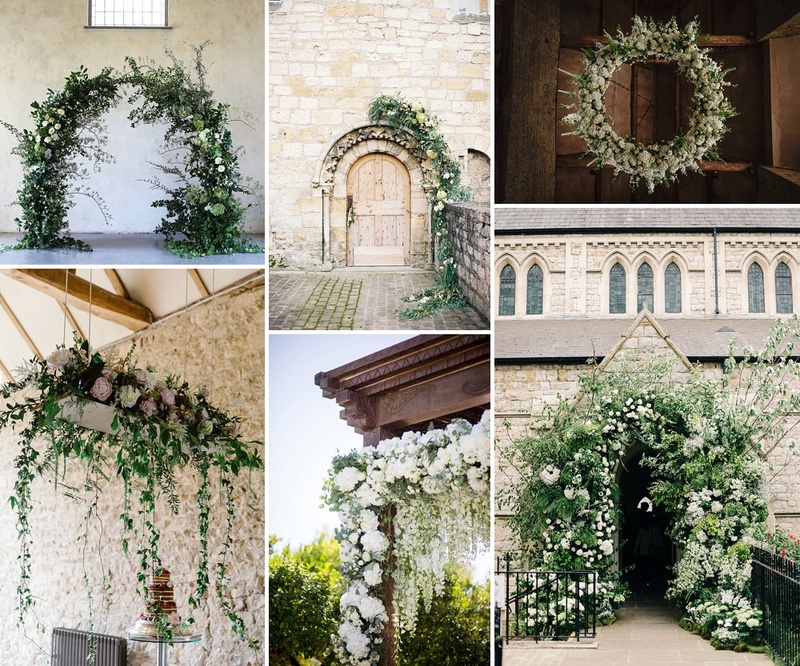 Without giving away too much, I’ve decided to share with you some images of wedding trends I have identified and some of the ideas I will be using on my own wedding day. I set myself the challenge of selecting my current top 5 favourite details which has proven to be a great exercise that I would encourage you all to do too. It just makes everything so much clearer! First of all, choosing a colour theme is key to editing down your ideas. Of course not everything has to be ‘matchy matchy’ but it will help you to make decisions if you lay down colour restrictions. For example if you’re choosing from a range of coloured napkins and have a palette for guide lines, it’s going to help you steer clear of that random multicoloured pattern that you like but you’re not even sure why! Our invitations, which were a ready made template from Papier, have become the colour palette for our wedding. 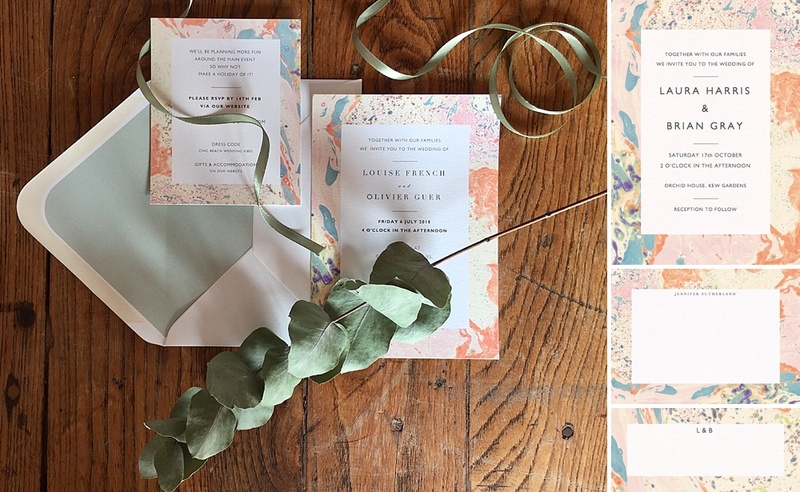 This is a brilliant little wedding hack if you can do it because instead of having to specially design invitations to match with the theme of your day, the invitation itself keeps you in check! That’s if you want a running theme of course (and its ok if you don’t, there are no rules!) I loved the swirling marble effect of these ones with the pop colours mixed in with more subtle tones, allowing for hints of colour but nothing too overbearing. 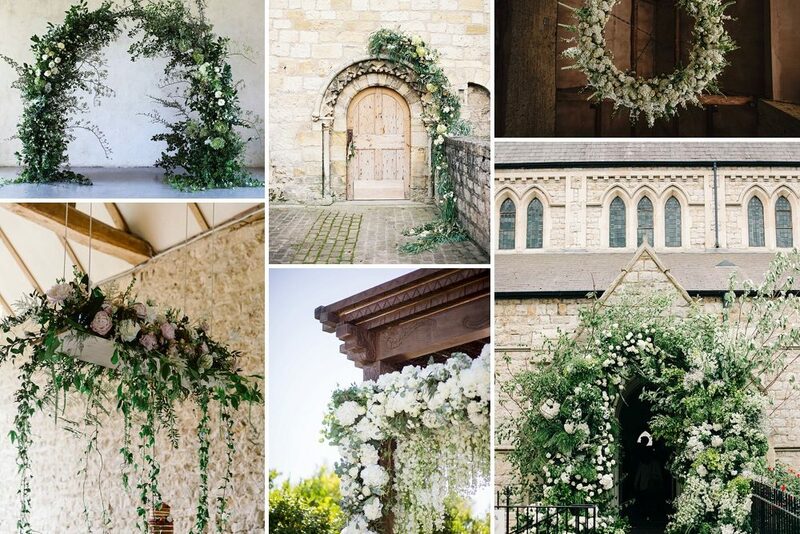 There is no doubt that flower installations are becoming very popular. Whether they are hanging from the ceiling, creeping up the walls, or lining the aisles, they are more like installation art than flower arrangements. To me, lots of foliage and greenery still looks gorgeous and a wilder and natural look is key. I adore these ones from @feldflowers and I keep sending their work to my florist in hope to have something similar for my own wedding. The fairy’s breath is coming out of the vases and crowning our heads! 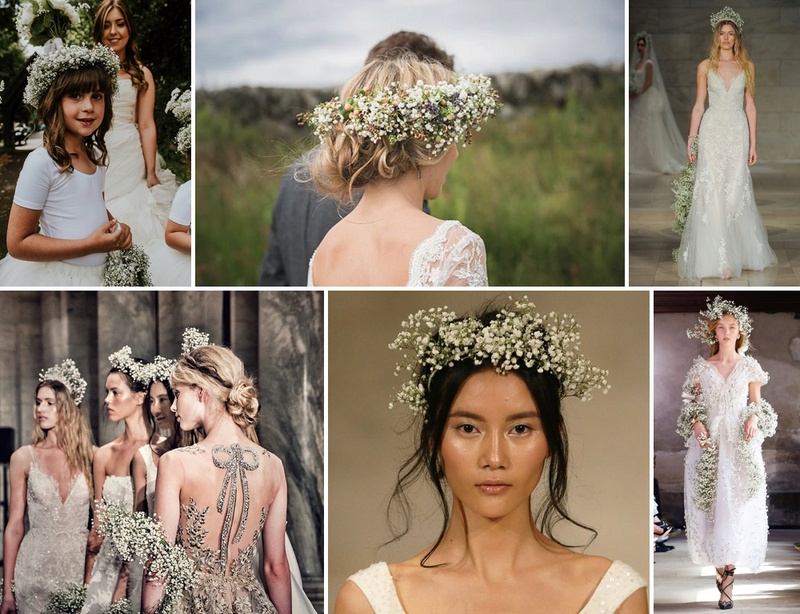 There is debate over whether Reem Acra or Rodarte refuelled this trend’s second coming, but there’s no doubt it’s back with even bigger gyp crowns than before! This time around, use heaps of this little white flower and pile it up on the head like the queen you are! I’m obsessed with tassels! For me bunting has had its day and my bet is on cotton tassels taking its place. Not afraid of a bit of DIY, I’ve been experimenting with making my own tassels and it’s easier than you might think! Also, parasols! 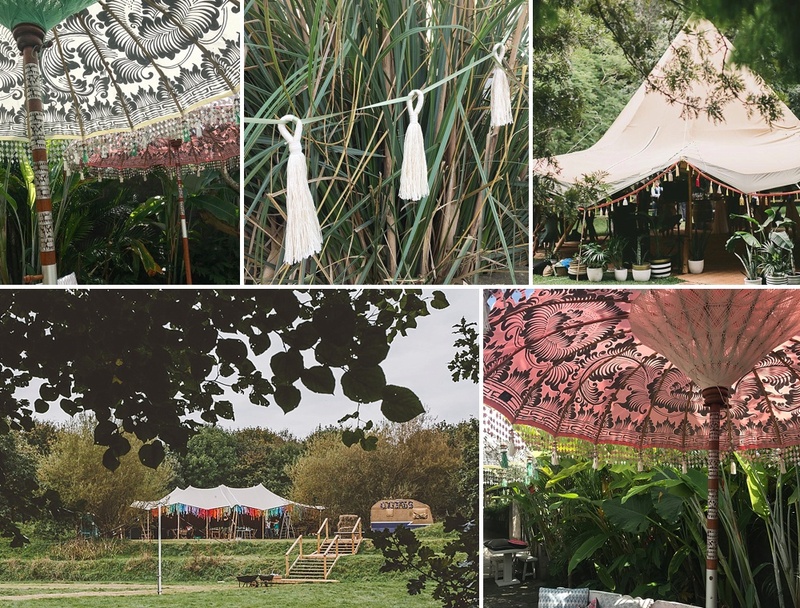 With tassels preferably, like the totally stunning ones from East London Parasol Company which I am totally obsessed with! Stars, moon crescents, galaxies are all the prettiest things to me at the moment. 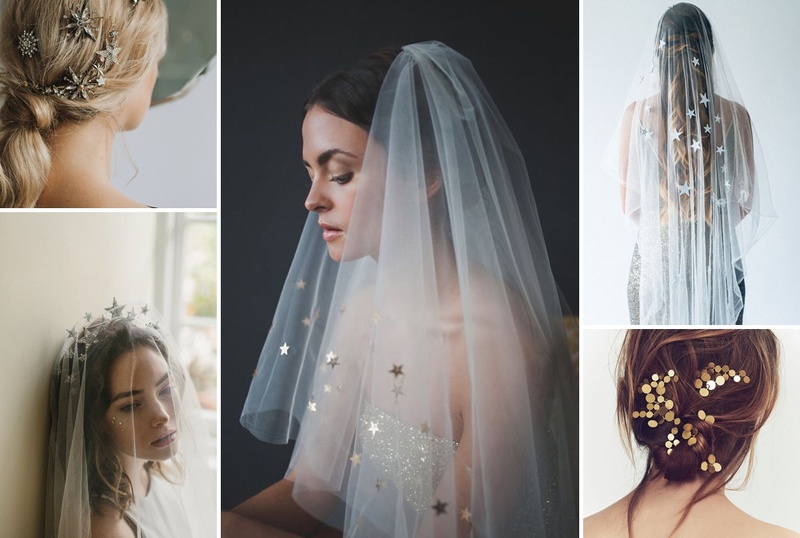 Bring this theme into your wedding with ethereal bridal accessories from Tilly Thomas or Luna Bea. Or even a moon crescent shaped alter like the one from The 12 Events. This starry theme has also filtered into some of the prettiest gowns this season. There you have it, my current top 5! Choosing your top 5 ideas will help you feel like you’re making progress when it’s all getting too much! It may take a few re-edits of your mood boards to get to your final look but having it clearly thought out in advance will make things easier in the final days. I would also say, don’t be afraid to experiment, the best ideas come from experimentation.